Heading south on the Princes Highway, cross the Shoalhaven Bridge, turn right immediately. Follow Bridge Road then Berry Street to the second set of lights, turn right again. The White House is 300 metres along Junction Street on the left. The White House is the only Heritage listed accommodation in Nowra. It is in keeping with other historic buildings of the South Coast. Situated only 300 metres from the CBD in Nowra and the same distance from the majestic Shoalhaven River and peaceful bushland. 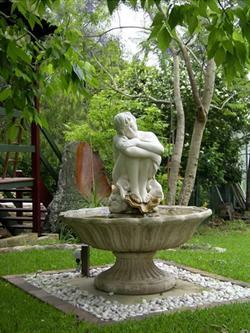 Located in the centre of the thriving Shoalhaven district. Nowra is within two and a half hours drive south of Sydney and Canberra by road or rail. 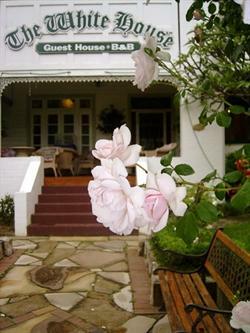 For those travelling by train or bus the Guest House is a short distance away from the stations and transfers can easily be arranged. The White House was built in the 1920s to provide superior accommodation for the discerning traveler.Life has changed since that time but the old world charm of an unhurried life remains with facilities that are right up to date.The rooms at The White House have everything modern life demands including internet access. The spa rooms have traditional four poster beds perfect for that romantic getaway and the family rooms sleep mum, dad and two children in comfort. A continental breakfast is included in the tariff. It can be enjoyed in the dining room with its lace table cloths or on the shaded verandah overlooking the garden with a rich array of bird life. In the evening the library is a great place to snuggle up in front of the open fire, listen to music or play a game of chess. The White House is only a short walk from the centre of Nowra with its many restaurants, clubs and pubs and great shopping. A night out can be enjoyed by all as the car stays right in the parking area. Nowra, the heart of the Shoalhaven, is the perfect base from which to explore the region. Enjoy beaches, valleys, national parks, escarpment views and the majestic Shoalhaven River, all within twenty minutes drive and dont forget the wineries, local markets, dolphin or whale watching and Authur Boyds gift to our nation, Bundanon and Riversdale. When you visit The White House your friendly hosts Ross and Louise are happy to inform you of the areas treasures and book your tours.Just a 2 ½ hours drive south of Sydney on the banks of the beautiful Shoalhaven River, Nowra is just 20 minutes from historic Berry, Kangaroo Valley and the National Parks and pristine beaches of Jervis Bay making Nowra the ideal base for you to explore the wonders of this region. The White House is centrally located 300 metres from the GPO. Shops, restaurants and the Roxy Picture Theatre are all within walking distance. Character filled 1920s style room with all the conveniences of modern living. Relax in the queen size bed and enjoy the privacy of your own ensuite bathroom. Views to the escarpment and Cambewarra Mountain. 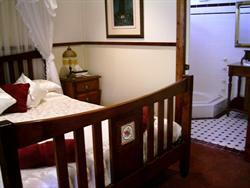 lovely heritage room four poster bed, ensuit and kitchenette. Continental breakfast served in the dining room. Cot extra $10.00. The luxury spa room has a private balcony and view of the secluded courtyard. The room is fitted out with period furniture, lace curtains, reverse cycle airconditioning, fan, electric blanket, fridge and television and DVD. 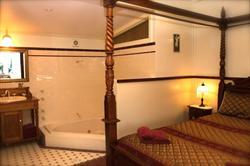 The private ensuite has a spa bath which comfortably fits two people and toiletries are supplied. Sip champagne in the spa while listening to a romantic CD. Cot hire available $10 per night. 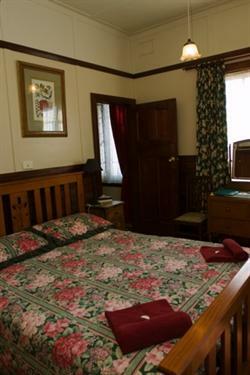 The room is fitted out with period furniture, lace curtains, reverse cycle airconditioning, fan, electric blanket, fridge and television and DVD. The open style ensuite has a spa bath which comfortably fits two people and toiletries are supplied. Sip champagne in the spa while watching a DVD or listening to a romantic CD. Character filled 1920s style room with all the conveniences of modern living and plenty of room to move. Relax in the queen size bed and single bed. Ensuit. Views over the manicured private garden. Character filled 1920s style room with all the conveniences of modern living. Relax in the double bed and enjoy the privacy of your own ensuite bathroom. Views to the escarpment and Cambewarra Mountain. Character filled 1920s style two bedroom suite with all the conveniences of modern living. 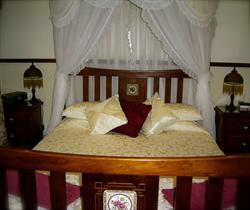 Main bedroom has double brass bed and the second bedroom has two single beds. 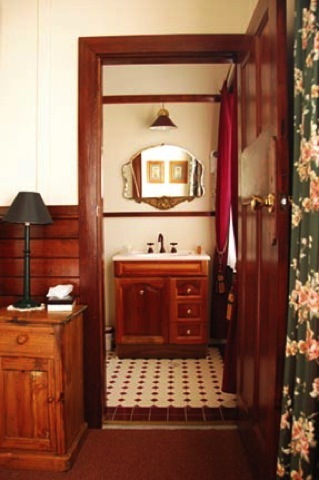 The bathroom is across the hall and is modern and spacious with restored cast iron claw foot bath. Views to the escarpment and Cambewarra Mountain. Character filled 1920s style room with all the conveniences of modern living. Relax in the single beds and enjoy the privacy of your own ensuite bathroom. Overlooks the private courtyard. Cancellations with more than two weeks notice receive 100% refund. Less than two weeks notice 20% handling fee. Less than 48 hours notice NO REFUND.